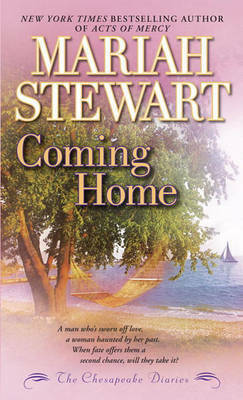 66.67% of people buy Coming Home and Home Again (The Chesapeake Diaries) ~ Paperback ~ Mariah Stewart. New York Times bestselling author Mariah Stewart presents a captivating contemporary romance novel in the tradition of Robyn Carr, Susan Mallery, and Barbara Freethy. In the wake of his wife's murder, agent Grady Shields turned his back on the FBI--and everything else--to retreat into the vast solitude of Montana, grieve for his lost love, and forget the world. But after years in seclusion, his sister's wedding draws him to St. Dennis, a peaceful town on the Chesapeake Bay. Though he swears he isn't interested in finding love again, Grady can't ignore the mutual sparks that fly when he meets Vanessa Keaton. Although her past was marked by bad choices, Vanessa has found that coming to St. Dennis is the best decision she's ever made. Bling, her trendy boutique, is a success with tourists as well as with the townspeople. She's made friends, has a home she loves, and has established a life for herself far from the nightmare she left behind. The last thing she's looking for is romance, but the hot new man in town is hard to resist. And when Vanessa's past catches up with her, Grady finds that he's unwilling to let her become a victim again. As together they fight her demons, Grady and Vanessa discover that life still holds some surprises and that love doesn't always have to hurt. Mariah Stewart is the award-winning author of the Last series: Last Look, Last Words, and Last Breath; the Truth series: Cold Truth, Hard Truth, Dark Truth, and Final Truth; and the Dead series: Dead Even, Dead Wrong, Dead Certain, and Dead End; as well as Forgotten, Until Dark, and The President's DaughterShe is the recipient of the Golden Leaf Award and the Award of Excellence presented by the Colorado Romance Writers, and has been a finalist for the Holt Medallion. Her books have been nominated for several awards from . Romantic Times magazine, including Best Contemporary Romance and Best Contemporary Novel. 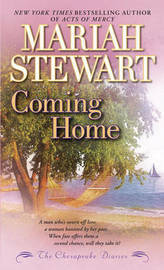 Stewart is a native of Hightstown, New Jersey, and lives in Pennsylvania with her husband and their two daughters.